The choice of the specific location to build mixed prayer section in Jerusalem's Western Wall will bury priceless Jewish archaeological excavation. It seems successive Israeli governments have taken steps to surrender Jewish archaeological remains in Temple Mount and look the other way while Arabs destroy them in order not to strengthen Jewish claims for Temple Mount because in their minds the Temple Mount has to remain in Arab hands. Netanyahu seems to be using the expansion of the non-orthodox section of the Kotel as an excuse to cover Jewish archaeological sites, one of the Waqf’s key demands. On January 2016 Arutz 7 reported that “Dr. Eilat Mazar of Hebrew University’s archaeology institute spoke to Arutz Sheva about the government’s new decision to expand the non-Orthodox mixed prayer section of the Western Wall (Kotel), in the southern part of the Kotel. Mazar warned that the decision to construct yet another prayer section for Reform Jews, in an expansion of a similar space built in 2013, could prove disastrous for the last remaining area where signs of the destruction of the Second Temple just under 2,000 years ago can be witnessed. 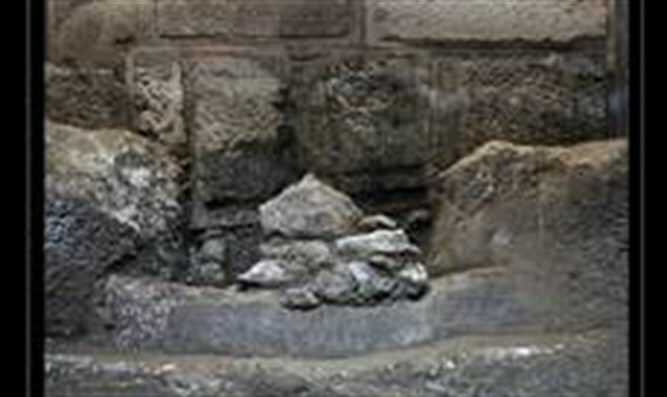 “In the archaeological park at the feet of the Western Wall there is only one section that is exposed and can be viewed. All the rest is underground. This is the southernmost section where the Herodian Quarter from the days of the Second Temple are preserved the way they were,” she said. And the site of those remaining ruins of the Temple walls is exactly the point where the new Reform and Conservative prayer section is planned. She noted that no other point around the Temple Mount provides such a clear illustration of the destruction of the Temple walls, making the site all the more important, in a point that adds to her argument that the ramp should not be built covering it. Mazar also noted her surprise at the silence over the decision, noting, “I can understand that there are those who want to expand the prayer space, but the length of the Western Wall is 492 meters; why take these 22 meters where the destruction at its height can be seen, a place that is defined as an archaeological site, and implement there (a solution to) this or that prayer problem? On June 28, 2018 Ido ben Porat wrote in Arutz 7: "Culture and Sport Minister Miri Regev (Likud), who heads the Committee for Holy Sites, refused Prime Minister Binyamin Netanyahu's request to enlarge the mixed prayer section at the Western Wall. "I decided to be loyal to my conscience, and therefore I informed the Prime Minister that I do not intend to approve the Western Wall plan by virtue of my authority as head of the Committee for Holy Places,” she continued. Following Regev's decision and in an attempt to appease the Reform movement, Netanyahu removed her from her post as chair of the committee to approve the work to enlarge the mixed prayer section..."
The Jerusalem Post reported "JERUSALEM (October 11) -- Moslem worshipers will be permitted to pray in the newly renovated Solomon's Stables next to Al-Aksa Mosque today, after the Jerusalem Municipality appeared to give its final approval yesterday. 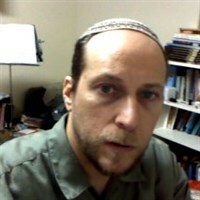 Police also downplayed the controversy that occurred this week when the Wakf announced its plans to open the four dunams of vaulted, underground chambers, on which the city had threatened to stop work during the summer...."
As an Architect I have been carrying research over the last seven years on The Temple Mount and the whereabouts of its location. Results of this research show that The Jewish Temple and it's courts are situated at the lower level of the Moriah Court (The Temple Mount). The Jewish Temple is located between The Al-Aksa mosque and the Golden Dome, close to Solomon's stables. These results have operative consequences concerning the Israel-Arab conflict and its possible solution. Al Aksa, The Golden Dome, and the buildings in the upper part of The Moriah Court will be given over to Muslim hands, and the ruins of The Jewish Temple and Solomon's stables that are located in the lower part of the court will be given over to Jewish hands. If Solomon's stables were to be given over to Arab authority this would disrupt the option to divide this area vertically between the Jews and the Arabs. This would of course create the worst to be expected, a situation of "them or us." Any arrangement concerning the lower parts of the Moriah Court, demands a thorough archeological analysis, which may help in any decision making concerning this issue. I would like to point out that there is no need to carry out digs in this area. In the area of the Moriah Court there exist more that 30 cisterns which can be physically entered enabling research of the area without interfering with the upper level. I ask of you to plan sufficient archeological research in this area. This should be carried out with cooperation with the religious authorities of both sides involved before, and as a condition to any change made concerning Solomon's stables. ” …The construction on the Temple Mount is only the latest, albeit perhaps the most egregious, example of the Waqf’s disregard for the protection of antiquities. In 1993 Israel’s Supreme Court found that the Waqf had violated the country’s antiquities laws no less than 35 times, with many of the violations causing the irreversible destruction of archaeological remains. On June 17,2018 BIN reported “The Jerusalem Islamic Waqf took advantage of the final days of the holy month of Ramadan, when Jews were barred from visiting the Temple Mount, to eliminate from the compound piles of earth that were rich with archaeological treasures dating back to the Temple period, Makor Rishon reported Friday. The piles of earth were created initially by illegal renovations the Waqf carried out in 1999. The soil that was now eliminated was dug up by the Waqf as part of its project of erecting a new mosque in the Solomon’s Stables area on the Temple Mount. At the time, 400 truckloads of ancient soil were unloaded in city dumps and in the Kidron Valley. Eventually, Israeli legal authorities became involved and banned the removal of the remaining piles of soil on the Temple Mount. The Waqf was planning to get rid of those piles as well, but a court petition by the Public Committee for the Prevention of Destruction of Antiquities on the Temple Mount was accepted by the High Court of Justice, which in 2004 issued an injunction against the removal of the piles of soil. The Waqf never agreed with the court’s decision, which stood in the way of its plan to pave over the eastern part of the compound, as they have done elsewhere on the Temple Mount. An Israeli archaeologist, Tzahi Devira, who runs the Sifting Project that has revealed tens of thousands of treasures in the dumped soil, has been keeping watch on the Waqf for close to two decades, to make sure they don’t sin again. While Israel preserves Al-Aqsa and the Dome of the Rock, Arabs have proven that they cannot be trusted to respect Jewish Holy sites. On December 15, 2017 Nadav Shragai wrote in Israel Hayom “King Herod’s grand Third Palace is being systematically destroyed by the Palestinians, who are stripping its stone and building homes around it. The site is in Area A, meters from Israeli-controlled territory, but the Israeli government can do nothing…Here is a lesson that teaches us how the Palestinians today treat remnants of the past…It is unclear how much of this beauty remains. Yaron Rosenthal, director of the Kfar Etzion Field School, who sometimes works with the Palestinians on environmental preservation projects, finds it difficult to hide his anger. Why does the Israeli government look the other way while the Arabs destroy Jewish archaeological remains?